I recognized a disturbing trend a few years ago. The teens coming to my house for parties were bringing in cases of Mountain Dew for their contribution to the “snack pot luck” along with their typical MSG chips and high fructose corn syrup cookies. Was Coke and 7-Up losing favor? As The Real Food Revivalist, I welcome those from all “dietary faiths” into my home, even those bearing the Grand Daddy of soda swill, Mountain Dew. Ever so sneakily, I kick the cases of Dew-trouble into a corner, and try to fill the cooler with bottled water and stevia drinks while luring a few unsuspecting kids over to the vegetable tray or the organic beef hot dog station (Oh, mom!). Mountain Dew was invented in Tennessee and later sold to Pepsi-Cola in 1964. Central Appalachia is an area known for horrendous dental issues. This region owes its fame to Mountain Dew primarily, according to dentists working in the area. A condition known as Mountain Dew Mouth is rampant in this part of the country. Parents are putting the Dew in baby bottles for their young’uns and teenagers have pulled their own teeth with pliers because of tooth pain. ABC News aired a report in 2009 about Mountain Dew Mouth. Children growing up in this poverty-stricken area of Central Appalachia are drinking this soda because it is available and cheap. It is not just a problem of poverty-stricken rural America and it is not just a problem caused by Mountain Dew. 20 something computer programmer, 6-pack of Mountain Dew per day habit. Even a daily Coke habit will begin to erode enamel away. Dental–Health.com dedicates an entire page to photos of bad teeth and erosion of enamel caused by Mountain Dew, energy drinks and other acidic beverages as well as certain medication. How acidic is Mountain Dew? On the pH scale, a neutral pH is 7. Water is somewhere around neutral. Anything less than 7 is considered acidic. Mountain Dew scores a 3.2. There are more acidic substances like Coke and Pepsi (pH = 2.5) and battery acid (pH = 1). All soda and energy drinks are acidic and can dissolve enamel on teeth. Even the can that the soda comes in is messing with our hormones because it is lined with BPA, otherwise the acid would react with the metal can. BPA in plastic and can linings has never been safety tested. It is a toxin that is causing obesity, infertility, increased miscarriage, polycystic ovary and reproductive cancers. BPA is altering pancreas beta cells and is associated with cardiovascular disease and thyroid dysfunction. Manmade chemicals like BPA mimic estrogen and this can be far more damaging to boys and men in terms of reduced sperm counts, infertility and feminization. I don’t have boys so I won’t pretend to understand the world of gamers, but I read stuff, and it isn’t just boys. The average player is 37. Millions of people are involved in gaming communities and spending an obscene amount of time pursuing their pleasure. Mountain Dew is marketing to gamers with “Game Fuel” and changing packaging to coincide with the release of key games like Call of Duty. In these Massively Multiplayer Online games, thousands of players from around the world compete. During these epic battles, a soda every hour is not uncommon. A gamer chugging a 20-ounce bottle of soda every hour will finish 3.5 liters in six hours. Who can forget Alana “Honey Boo Boo” Thompson from Toddlers & Tiaras? Apparently Toddlers & Tiaras moms choose Mountain Dew (“Go Go Juice”) to give their baby pageant contestants that extra special “energy” to wiiiiin! At a young age Honey Boo Boo was drinking a mix of Red Bull and Mountain Dew on occasion. Today, Alana is dealing with weight and health problems that began at an early age. Soda consumption and poor quality food options offered to this child have quickly eroded Alana’s health and the health of many young people. Can you really prop yourself up with a few cans of Mountain Dew, dumping a cup of sugar into your blood and think it is not going to lead to diabetes or heart disease, much less a giggly belly? We all have been given one life to live. Is a little Mountain Dew binge ok once in awhile? Sure if you don’t mind taking a break for some medical attention to tend to your nasty skin lesions, nerve disorders and lack of muscle coordination. 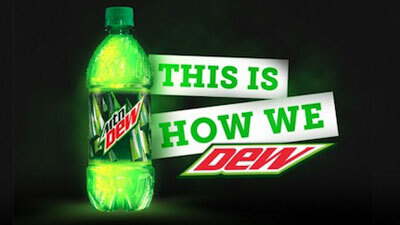 Oh, and the Dew also causes memory loss, so … wait, what was I saying…? A study reported in the 1997 Journal of Toxicology detailed a case concerning one man’s habit of drinking 2 – 4 liters of bromine-containing soda. This man experienced deterioration to the point of no longer being able to walk and requiring dialysis. A nasty ingredient called brominated vegetable oil (BVO) is lurking in some soft drinks, baked goods and pasta. It is found in bleached white flour, Mountain Dew, Fanta Orange, Sunkist Pineapple, Squirt, Fresca, some Gatorade, some Powerade and other citrus-flavored drinks. Gatorade, Powerade and other brands have been removing BVO since I first wrote this article in 2012. Mountain Dew continues to contain Brominated Vegetable Oil. You can still drink BVO in Ruby Red Squirt like one 63 year old man. Things did not turn out well for him, as described in the New England Journal of Medicine. This man reported drinking 8 liters of Ruby Red Squirt for several months. He developed disgusting ulcers on his hands and doctors determined that bromine intoxication caused this terrible condition. The main source of bromine came from drinking Brominated Vegetable Oil in Ruby Red Squirt. Bromine wrecks your thyroid by competing with iodine needed to make thyroid hormones. Of course, you can always drink more Mountain Dew if you begin to feel fatigue from a burned out thyroid. Is it time to get off this energy roller coaster and try a soda-free life!? 11) BVO in Mountain Dew is Also in Flame Retardants. BVO, also found in flame retardants, is banned in Europe and Japan, but not in the good ‘ol USA. (Yes, American Beverage Association, water is also a flame retardant!) The difference is, my body requires water and I am happy to drink water, not a laboratory-created chemical flame retardant. It gives the appearance of being juice, but it is really a laboratory creation resulting from spiking soybean oil or corn oil with bromine. The soybean and corn oil used to make BVO are most certainly from genetically modified plants. High Fructose Corn Syrup is also made from GMO corn. 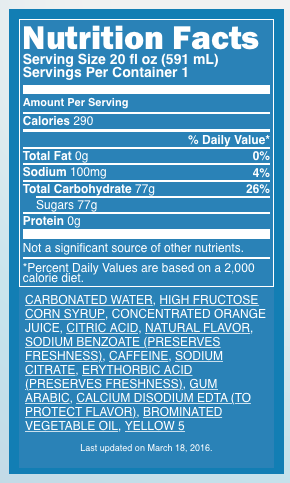 Mountain Dew contains more caffeine and more genetically modified high fructose corn syrup than any other soda. GMO soy and corn, BVO, acid, sodium benzoate (preservative that reacts with Dew’s vitamin C to create carcinogens), yellow dye (made from coal tar) and BPA make it one of the most toxic things you can consume. Go ahead and write to Pepsi with your concerns, but they will say that they are working to remove BVO from all products. Yes, now you can rest assured that Mountain Dew is safe (as long as it remains on the shelf at the store). When you eat things with Yellow 5, you lose zinc through your urine and saliva. If you have ADHD, you lose it even faster than someone without ADHD (Ward 1990, 1997). Zinc, an essential trace mineral, is required by hundreds of your body’s enzymes involved with the metabolism of protein, carbohydrate, fat and alcohol. Zinc is also critical for wound healing, sense of taste and smell, immune system function, bone strength, thyroid function, blood clotting, cognitive functions, prenatal development, and sperm production. Even a mild deficiency can produce a wide range of physical and mental problems. The global soft drink market is booming with $337.8 Billion in sales annually. We know that key players in this market, like Coca-Cola Company and PepsiCo, will continue to cash in on addicted Americans. 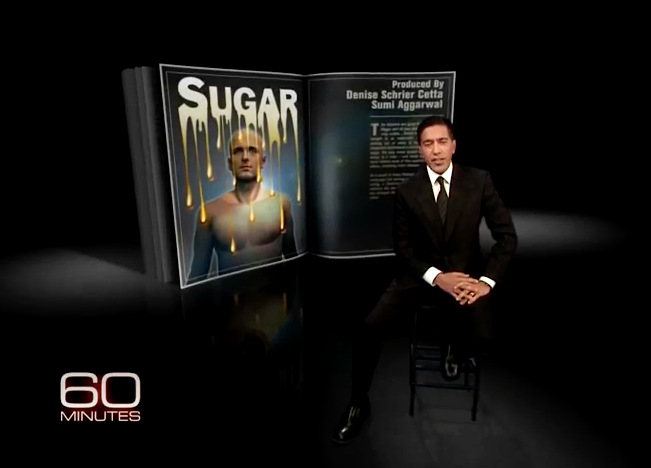 Here is more information on the toxic effects of sugar and high fructose corn syrup. For the record, water is the best option, but sometimes people want flavor and variety. 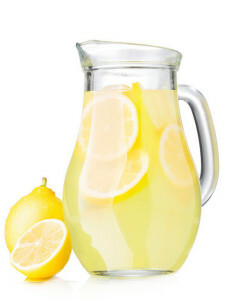 I am aware that sparkling mineral water, tea, homemade lemonade and other healthy beverages can be acidic. These are much better options than soft drinks and Mountain Dew for the 14 Reasons mentioned above. Water – Filtered at home is best. I like Aquasana as it preserves the minerals. Sparkling mineral water with fresh lemon or lime (I like unflavored San Pelligrino) and Liquid Stevia Drops. Brew organic herbal tea and pour over ice. Strawberry Lemonade: Puree 2 cups strawberries, add to 4 cups water, Juice of 1 Lemon, 5 drops of Lemon Essential Oil, raw honey or stevia to taste. I recommend avoiding Crystal Light and juice in general. Fresh Lemonade with Stevia: 2 Qts water, 1 tsp Liquid Stevia, the juice of 6 lemons. Serve over ice. Pure coconut water, the perfect balance of electrolytes makes this a great drink for athletes or hot days. View more refreshing beverage recipes here!